As a result of the formation of the Focus Group, I have been asked a few questions which I would like to share with you which may help to answer questions you may have. 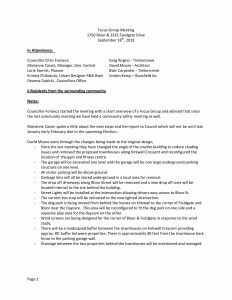 Why does there need to be further meetings when 100s of us attended past community meetings already for this controversial project and shared our opposition for any proposed developments in our community? Under the Planning Act, http://www.mah.gov.on.ca/Page1760.aspx, an applicant has the right to submit an application to the Municipality. The Municipality is mandated to allow each application to proceed through the process under the Planning Act. This includes, holding community meetings (with the Councillor), public meetings (before the City’s Planning and Development Committee), distributing the application of various City and Regional Departments as well as outside agencies, ie. School Board, utilities, etc. Comments from all are collected and included in Planning Staff’s Report to Planning and Development Committee. 2. How many meetings does it take to shut down a controversial project? There is no designated number of meetings required under the Planning Act. The community is always welcome to provide their input. I will encourage the Focus Group members to reach out to their neighbours to both provide updates and collect feedback. It has been my experience in instances where the application is contentious that working with a smaller representation of the community allows all to focus on the key issues. An additional community meeting with be held inviting all of the community to attend to hear an update from the Focus Group. 4. Why do we have to apply for a position to be within a focus group? Why do you consider on who gets the position? This is a community of 1000s of people why do you get to choose who is allowed to participate in the meetings? Residents did not have to apply to be on the Focus Group. I had asked those interested in participating to let me know. I am happy that 7 dedicated residents have come forward to participate. 5. Have we not already shared the interpretation of the community from various residents? I look forward to working with the Focus Group to address each key issue in order to find a resolution and/or compromise. Please keep in mind this area is considered a “residential node”. The Province is encouraging development intensification in nodes. 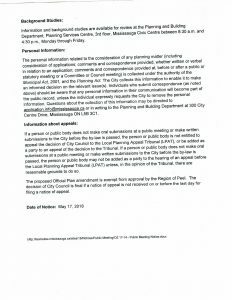 As a result, many applications if rejected at the municipal level, have been successful at the Ontario Municipal Board (OMB), now the Local Planning Appeal Tribunal (LPAT) . It is always more beneficial work with the applicant to continue to have input into the development. Any new information will be posted on my website https://chrisfonseca.ca/ under the Planning tab. 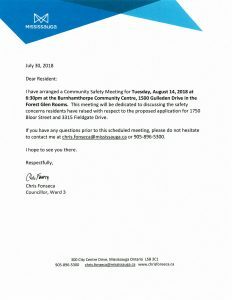 Thank you so much for those who attended the Community Planning Meeting on April 23rd, 2018 and the subsequent Community Safety Meeting on August 14, 2018. I appreciate all your comments and concerns. Moving forward, I believe it would be more productive to continue with a focus group rather than a community meeting. This model has worked very well on other controversial planning applications and believe it will work well in this instance. The Focus Group will consist of a total of 6-8 residents. I would like to include residents from various streets in the immediate community to gain a fair interpretation of the community. The Focus Group will meet with myself, the City’s Planners and representatives of the Developer. I will schedule the first meeting in mid September and any subsequent meetings as needed. If you are interested, please send me an email with your name, address, phone number and email address for consideration prior to August 31, 2018. Unfortunately, not all attendees provided their email address and/or they were not legible so I would ask that you kindly share this information with your neighbours who many not have received same. Thank you for attending my community meeting on April 23, 2018. 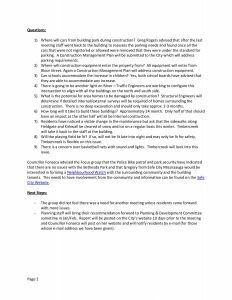 Please find attached my notes, and notes made by the City’s Planning staff at the April 23rd meeting. Also included are notes from my meeting with the Applicant held on May 24, 2018. 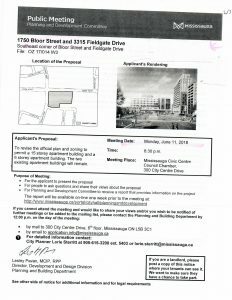 A Public Information Meeting will be held on Monday, June 11 at 6:30pm in Council Chambers regarding this Application. This Public Information Meeting is the first official meeting wherein the Members of Planning and Development Committee (PDC) will here this Application. At that time, the Applicant will make a short presentation to PDC (made up of the Mayor and Members of Council). Members of PDC will have an opportunity to ask questions, provide input, etc. Members of the community will also be permitted an opportunity to speak. 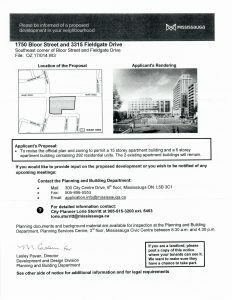 The Agenda will be available for viewing online at http://www.mississauga.ca/portal/cityhall/planninganddevelopment one week prior to meeting. This Item will appear as OZ 17-14 W3 – Bloor Street and Fieldgate and marked Information Report. The Report will contain a summarization of the community’s comments, mention of the Petition received, etc. In the normal course, City Planning staff and the Applicant will work through the Application based on comments and recommendations made at PDC. This is typically a back and forth information exchange that can take some time. 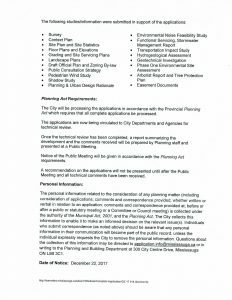 A subsequent meeting will be held before Planning and Development Committee wherein a Recommendation Report will be presented by City Planning Staff to PDC. I have sent this email to those who completed the sign-in sheet at the April 23rd meeting. However, some email addresses were illegible, so please share this information with your neighbours. If you have any questions, please do not hesitate to contact me. Also, I would like to take this opportunity to inquire if you wish to be added or continue to receive my e-updates. Due to the new Federal anti-spam By-law, I must receive your consent. By agreeing to have your e-mail added, you will periodically receive notices of upcoming events, Ward related news and special announcements. If you wish to be included, please respond giving your consent or simply click on the button below. Why is it 15 storeys? There will be no privacy for residents backing onto development.